Vincent is a keen cycling enthusiast who had recently purchased a Honda HRV. Hence Vincent was in the market of a Honda HRV Bike Rack. 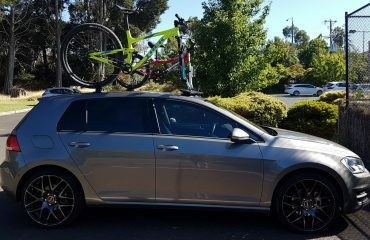 Vincent also owns a Honda Civic Type R, as a result, he also wanted a bike Honda Civic Type R Bike Rack. Rather than purchase two vehicle specific bike racks, he did some research and discovered the SeaSucker Mini Bomber. Being based in Melbourne he gave us a call and arranged for a bike rack demonstration. Vincent owns several road bikes. A quick Google search confirmed they both had a Quick-Release front wheel with Drop-Out front forks. Therefore the standard SeaSucker Mini Bomber kit is all Vincent needed. 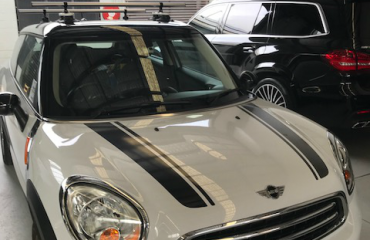 As the Honda HRV has a Panoramic Roof we identified the ideal location to install the SeaSucker Mini Bomber mainboard between the Panoramic Roof and the front windscreen. The main board fitted easily between the chosen area. 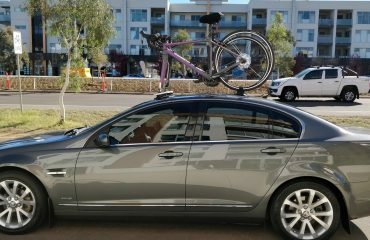 It also enabled Vincent to still use the sunroof with the bike rack installed. The rear wheel straps located on the fixed section of the Panoramic Roof. Shortly afterwards Vincent sent us these photos. 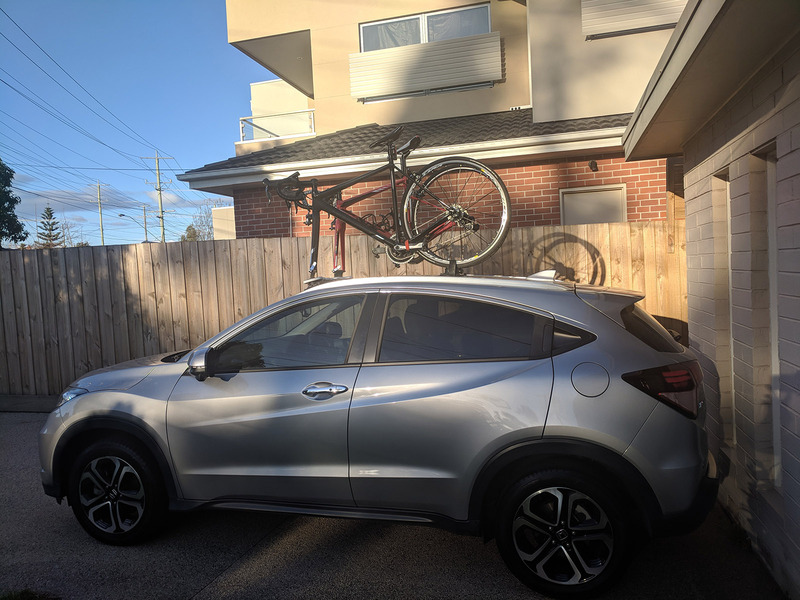 In summary, Vincent achieved his goal of purchasing a HondaHRV Bike Rack and a HondaCivic Type R Bike Rack using the same bike rack. 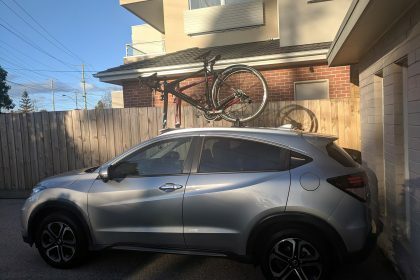 Looking for a bike rack for your Honda HRV?